For more than 50 years, CBN has been producing stories and testimonies of people whose lives have been transformed by the power of God. “Regardless of what obstacles we face, or which army is standing against us, we can choose between giving up in defeat or rising up in the limitless power of almighty God,” says executive editor Gordon Robertson. CBN has a team of journalists and reporters who travel the globe looking for powerful testimonines of victory and redemption. “We wanted to take the opportunity to highlight some of the best stories we have done of people who have gone through unbelieveable circumstances who still held onto hope in Christ and beat the odds,” says general editor George Thomas. This collection of stories includes people who have done what others thought could not be done and offers hope to others in the midst of what may seem like a hopeless situation. 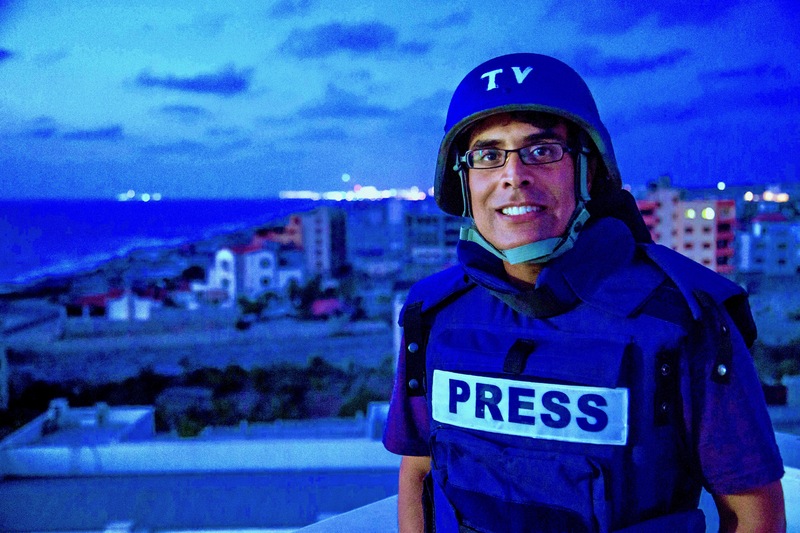 “Reporting stories is just one of the numerous facets of what we do here at CBN,” says George. Rifqa Bary grew up in a devout Muslim home. She was sexually violated by an extended family member and received regular beatings from her father. When she was 12, she gave her heart to the Lord and lived her Christian faith in complete secrecy for 4 years. When she told her family, her parents and religious leaders planned on killing her. A team of believers helped her escape from her home in Ohio to Florida. Rifqa lived in different foster homes until a Christian couple eventually took her in. On her 18th birthday, Rifqa was free to live the life she wanted to for herself. “I was so excited that I didn’t have to hide anymore, that I could just open up the Bible.” Though Rifqa is estranged from her family, God has healed her heart. Rifaq prays for her family and hopes that they will also find the same freedom she has. Despite this great loss, Rifqa says the whole ordeal was worth it. “I have no regrets and would do it all again.” As a young girl, Rifqa faced a seemingly impossible situation. She could either deny the call of the one true God or she could forsake her family by accepting Jesus into her heart. “Amazingly she found the courage and strength to make that choice,” says George. Cody Huff grew up in an abusive family. By 13, he began running away. Over the years, he felt unloved and unwanted and would do almost anything to feel the acceptance he never experienced at home. During high school, Cody experimented with drugs which gave him a way to escape. With this growing addiction, Cody spent his teen years in and out of juvenile detention. Over the years, his drug habit grew out of control and he started dealing cocaine to pay for his habit. He started using heroin and soon Cody’s life became all about drugs and money. He spent 8 of the next 30 years in jail then moved to Las Vegas to separate himself from his dealers. Soon Cody found crack cocaine. This vicious addiction left Cody homeless because he lost everything to drugs. After eating out of garbage cans and living in bushes, another homeless man told Cody about a church where he could get free food and a shower. The entire church showered him with the love of Jesus and Cody finally found the love and acceptance he had been searching for. He went “home” to his patch of bushes and asked the Lord into his heart. He stood up and was free from decades of drug addiction. “It was completely gone once and for all,” says Cody. The church gave him a car, a place to stay and a job. Cody knew God redeemed him and gave him a second chance. Today Cody searches for people on the same back streets of Las Vegas in which he lived. He drives his van through the neighborhoods and dark corners that most people avoid. God prepared Cody for a life that was far beyond anything he could have dreamed for himself. Often men and women like Cody feel trapped under decades of heartache, addiction and abuse. “God surprised Cody by not only meeting his eternal need for salvation, but He allowed Cody to experience the love and acceptance he had been searching for all of his life,” says George. 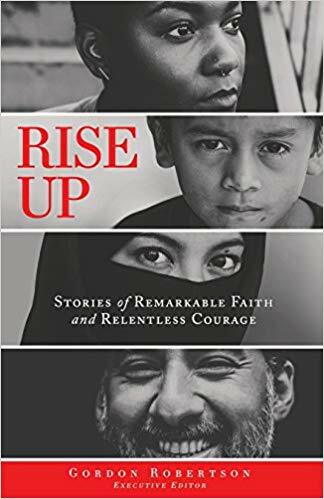 Fourteen other stories are included in CBN’s new book, Rise Up, available on www.CBN.com/RiseUp or www.Amazon.com. STORIES OF COURAGE AND FAITH For more than 50 years, CBN has been producing stories and testimonies of people whose lives have been transformed by the power of God. “Regardless of what obstacles we face, or which army is standing against us, we can choose between giving up in defeat or rising up in the limitless power of almighty God,” says executive editor Gordon Robertson. Adversity. No one likes it, but time and time again, moments of seemingly unbearable difficulty in our lives are the precursor to the miraculous work of God on our behalf. This Week: Remembering the Life and the Faith of Dr. Martin Luther King, Jr.